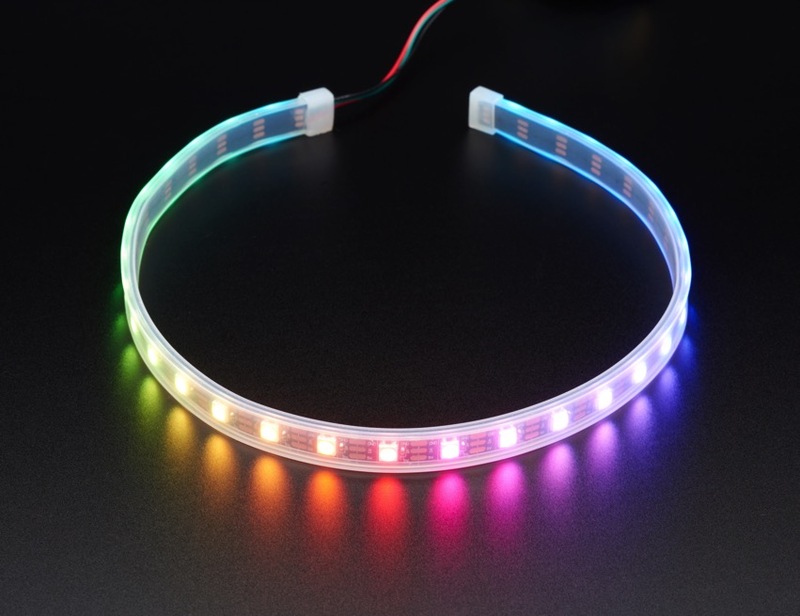 NEW PRODUCT – Adafruit NeoPixel LED Strip with 3-pin JST Connector – 60 LED/meter / 0.5 Meter « Adafruit Industries – Makers, hackers, artists, designers and engineers! 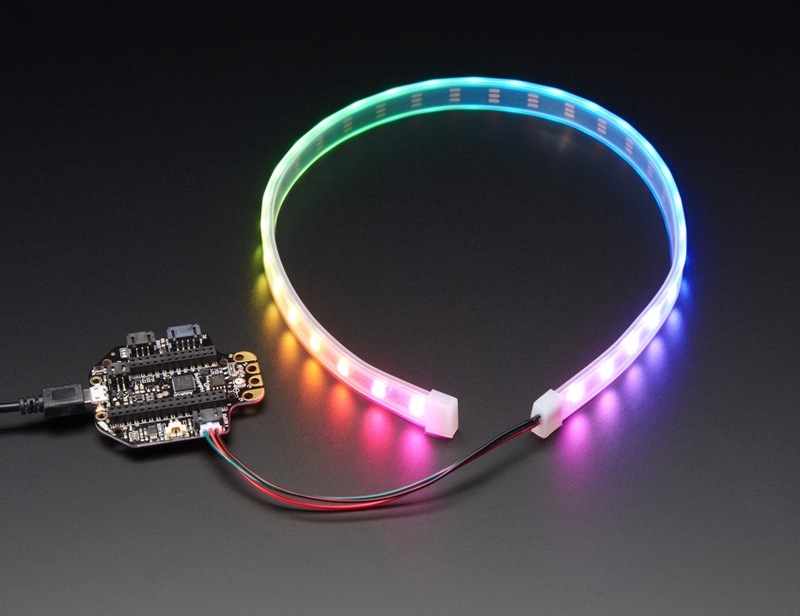 Plug in and glow, this Adafruit NeoPixel LED Strip with JST PH Connector has 30 total LEDs in a “60 LED per meter” spacing, and is 0.5 meters long, in classy Adafruit Black. 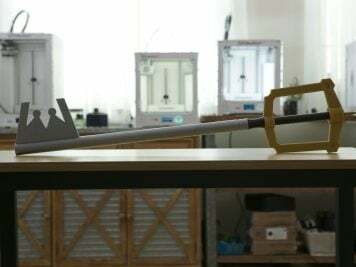 Its not too long, but has lots of glowing action. Perfect for use with a Hallowing, or a custom design with a JST PH socket. The strips come in a 0.5 meter reel with three 100mm long wires connected to a JST PH 3-pin plug. The other end is sealed. The wires are even nicely color-coded: black for ground, green for signal, red for 3-5VDC power. 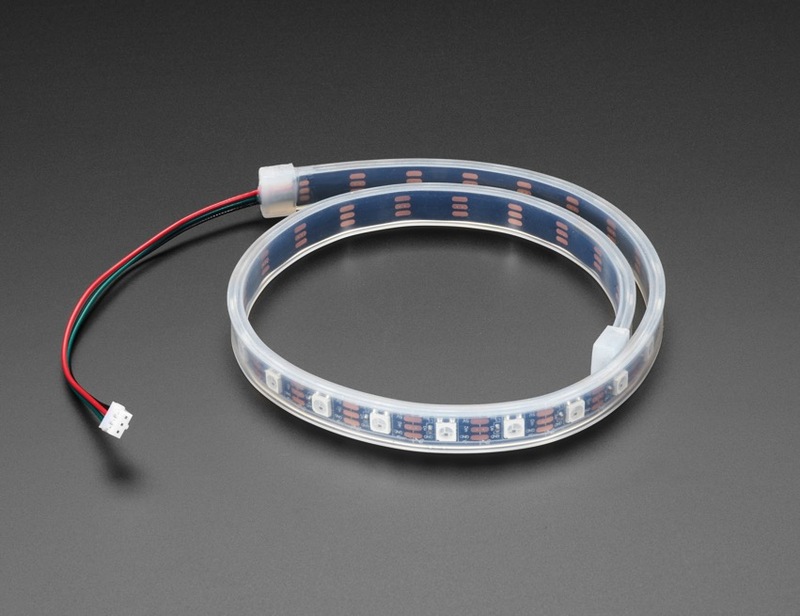 We use SK6812 LEDs on these strips so you don’t need an inline resistor and they work down to 3V logic+power.